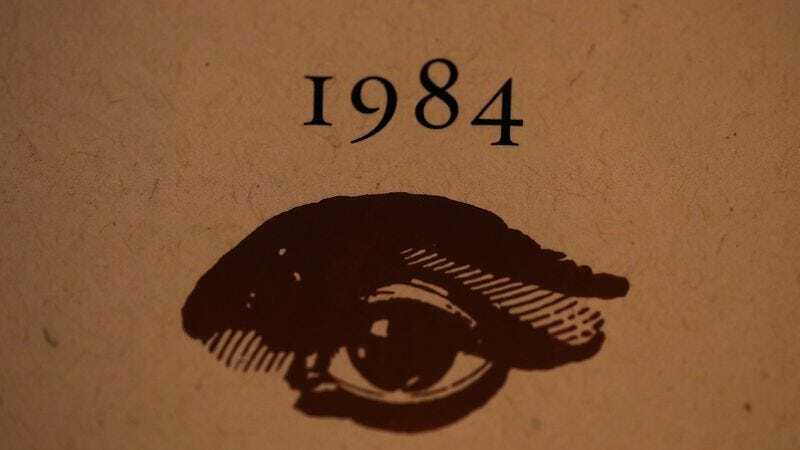 2017 has proven to be the biggest year for George Orwell’s 1984 since 1984; inspired by the current political climate of alternative facts and endless government proclamations, the book is currently sitting high on a number of bestseller lists. (It even got to take an accidental trip to Tiny Train World.) Now, it’s been announced that a stage production of Orwell’s dystopian masterpiece, developed by Robert Icke and Duncan Macmillan, will kick off the 2017 Broadway season. Based on a London production that drew strong reviews when it initially debuted in 2013, the play will open on June 22, 2017. Orwell’s work has been adapted for the stage a number of times, up to and including an opera and a ballet. (Hence the novel’s famous claim that the perfect picture of the future was “a toe shoe, delicately pirouetting on a human face, forever.”) Meanwhile, whoever designed the press release for the Broadway show deserves an extra ration of Victory cigarettes: it’s a doubleplusgood little piece of redaction and misdirection, obscuring harmful and unnecessary information from illicitly prying eyes.